During the development of a recent article of mine, it became abundantly clear that I and other lovers of plot and characterization had once upon a time been spoiled by the great role-playing games being thrown our way in quick succession. Before RPG elements made their way into basically every game and sullied the genre, but after turn-based fighting and leveling systems took their first uncertain steps in the NES era: This was the Golden Age of RPGs. For the purpose of this article, I define the Golden Age as starting with the release of Final Fantasy IV (July 19th, 1991) and ending with the release of Final Fantasy X (December 17th, 2001) – I know, I know, it’s arbitrary, but we need boundaries, people! Even though Square was the unrivaled king of RPGs, and could have single-handedly defined this period without any other companies having a say, we were lucky enough that not every great RPG belonged to them. While the Final Fantasy series was at its peak and Square simultaneously branched out in its brilliance with non-FF titles, lesser publishers did their best to compete – and while nobody has completely knocked Square (well, Square Enix now) off its perch, they sometimes produced something magical. Final Fantasy fans, take a hike! This is a countdown of the 10 best Golden Age RPGs made by anybody but Square. Even though it falls just outside my Top 10, you can scarcely be faulted (vaulted?) for finding a spot for this gem. It improved upon everything from the first post-apocalyptic hit, but is slightly diminished by Fallout 3‘s revolutionary upgrades to the user experience. If you can get past the dated interface, this one is well worth your time. Enix’s last gasp before succumbing to the power of Square’s giant wallet is also the best game in its flagship franchise. Dragon Quest VII, like Final Fantasy IX, was a polished throwback to what made the series great in the first place – in this case, classic turn-based combat, an incredible level of exploration, and interaction between party members. 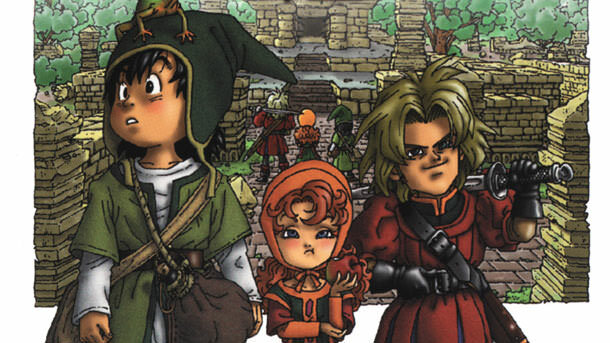 DQ7 also brought back the class system from the previous entry, providing another dimension to gameplay. It doesn’t have the most memorable characters in the world, but it certainly helps when your design is handled by manga’s god-king Akira Toriyama! Add in a time travel element and sufficiently weighty plot that involves Butterfly Effect-ing the bygone world back into existence, and you have a winner. 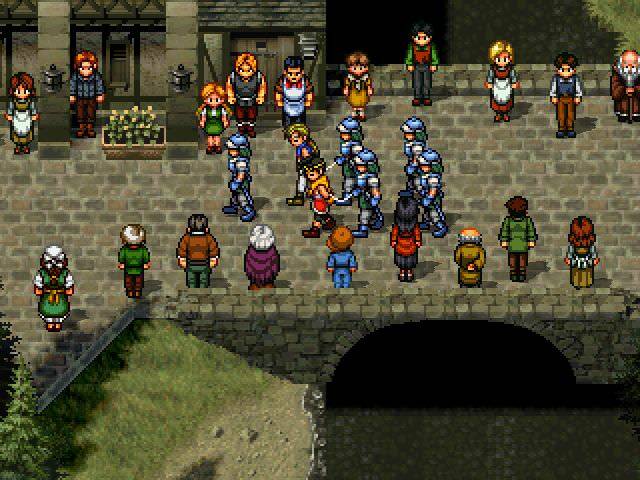 The Suikoden series is mainly known for having tons and tons of characters (you can recruit 108 individuals in each game! ), and Suikoden II is easily the best of the series. It pits an almost Shakesperean personal drama – complete with betrayal, loss, and an over-the-top villain – against the backdrop of a bloody war over the acquisition of incredible powers. This title is also praiseworthy for having some of the most interesting gameplay in an RPG, mixing up the turn-based combat (which of course features tons of different combination skills among the absurdly large number of possible party configurations) with occasional tactical warfare (Fire Emblem style) and one-on-one duels in tense moments. And even beyond that, the player builds up their own castle with the addition of specific NPCs as skilled tradesmen. Slowly growing in popularity after its release, Suikoden II is one of the most sought-after PlayStation RPGs among collectors, and for good reason. Illusion of Gaia is an incredibly memorable experience that often goes under the radar when players think of the Golden Age. In this early Action/RPG exemplar and loose spiritual successor to cult hit Soul Blazer, a young man with psychic powers traverses a pastiche of historical and fictional locations-turned-dungeons (including the Egyptian Pyramids, Angkor Wat, and the Great Wall of China) in order to unlock his hidden potential and (you guessed it) save the world. The specific details of the plot are delightfully trippy and borrow from the mythology of various cultures, weaving an interesting world where you can’t wait to find out what comes next. The main character’s transformations to one of two alter egos enable him to access different powers to help with combat and travel, and the characters hit the right emotional notes to make the player care about what happens to them. Never again has frying up bacon been this sad! This was the pair of games (really one game with slight changes, in a blatant and brilliant cash grab) that kicked off the Pokémon craze that’s still going strong today with Pokémon Go. The reason so many kids were hooked on this one, beyond simple brand loyalty, is that it featured some of the most addictive JRPG gameplay around. The enemies you fight are the very same monsters that make up your team, if you’re willing to put the work in to catch ’em all. (And really, you gotta.) For those keeping track, the monsters themselves account for both sides of combat, the highly rewarding collectibles system, and in many cases, the story! Talk about keeping the main thing the main thing. The typical focus points of plot and characterization don’t account for much here, so the inclusion of Pokémon Red & Blue on this list is a testament to just how good that gameplay was. 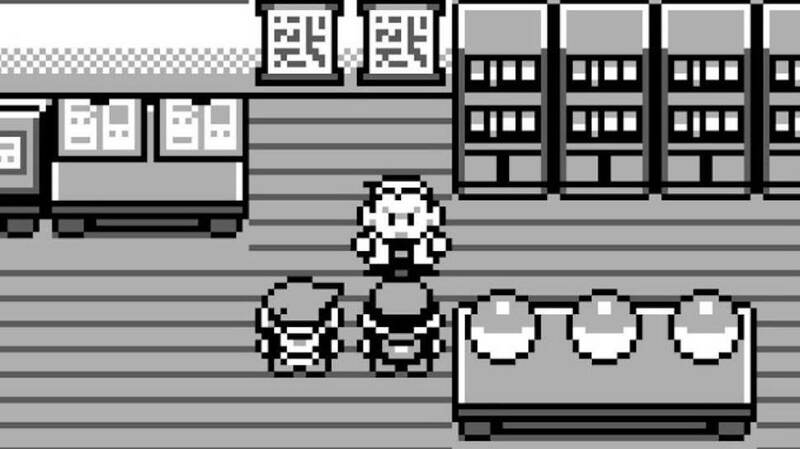 They improved incrementally on the formula with later titles, to be sure, but most of what made the Pokémon brand great was evident right from the get-go. 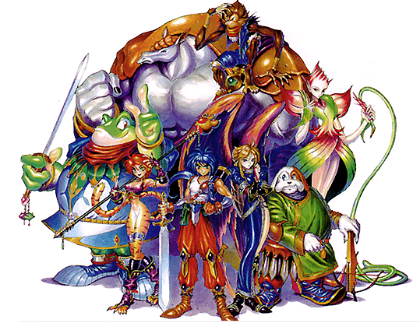 Another underrated Super Nintendo RPG, Breath of Fire II is a story-heavy classic with major gameplay improvements over its predecessor. The game starts with a deeply affecting sequence where a young boy sneaks out of his town, then returns to find that his family has disappeared and the remaining townsfolk have no idea who he is. The idea of being forgotten is incredibly scary, and the mystery of what happened there isn’t resolved until late in the game. The plot only gets heavier from there, as it eventually turns out that the world’s church (which bears many surface similarities to the Catholic church) was actually founded by demons who plan to wipe out the pre-existing faith and (you guessed it) take over the world. It’s incredible that a story this dark was approved by censorship-loving Nintendo, and RPG history is all the better for it. Big Brother (Adam Sanborn) owned FinalFantasyIII.com for fifteen years. He is currently tasked with educating the little brothers and sisters of the next generation. 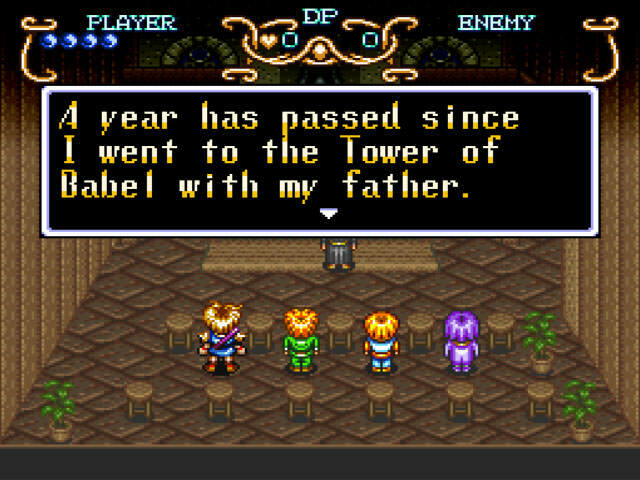 Terranigma was a great action jrpg too.